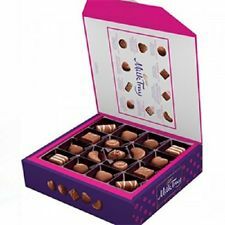 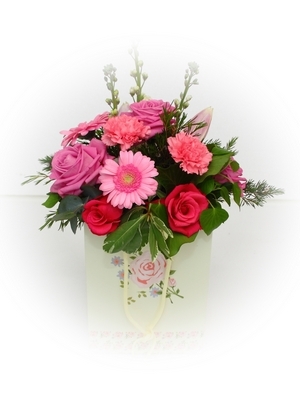 £10 , £15 , £20, £ 25 , £30. 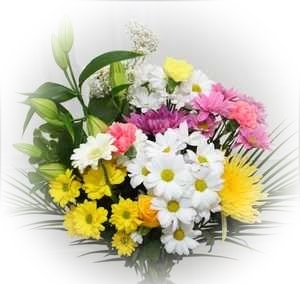 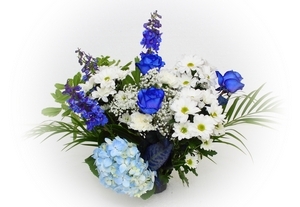 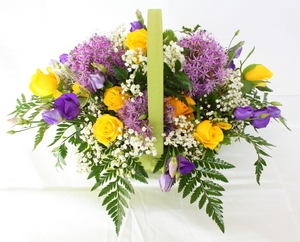 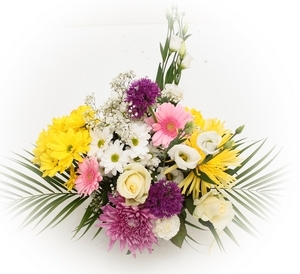 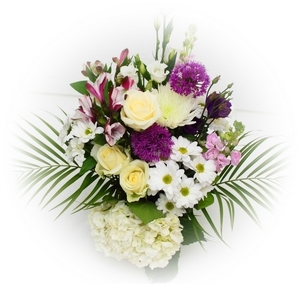 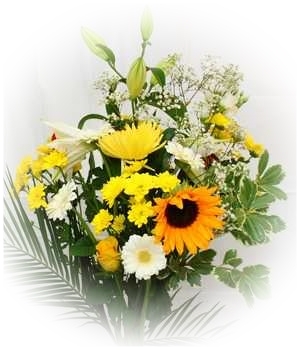 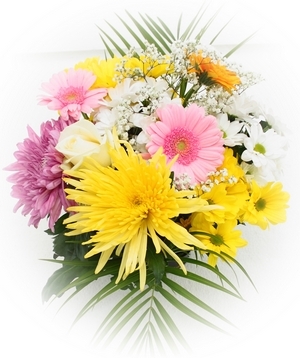 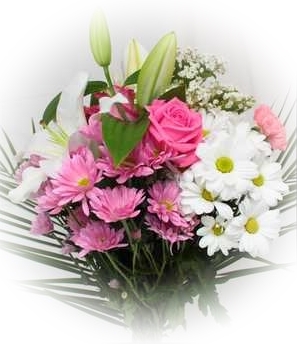 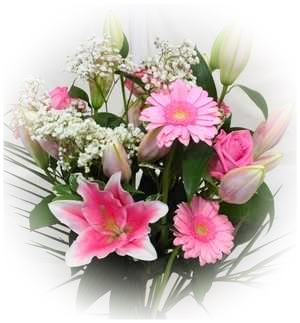 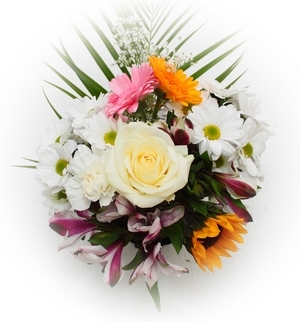 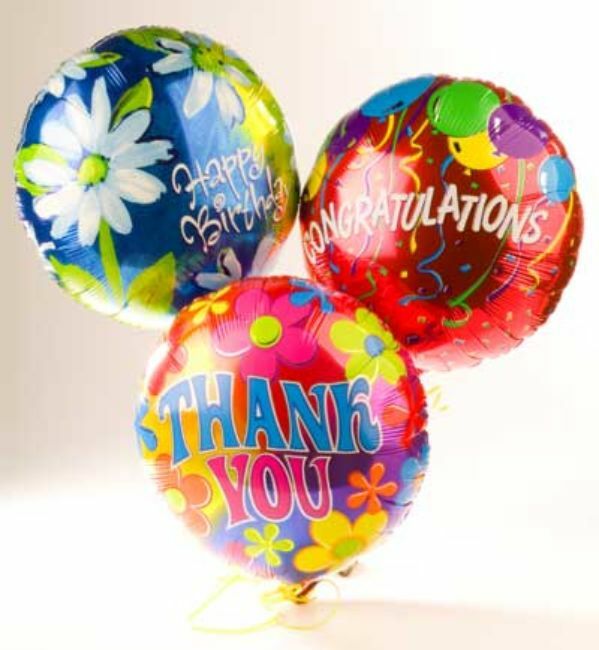 Flowers - White Hydrangea - Alstroemeria - White Rose - Purple Allium - Stock - White Chrysanthemums - Gypsophila - lizzy - Palms. 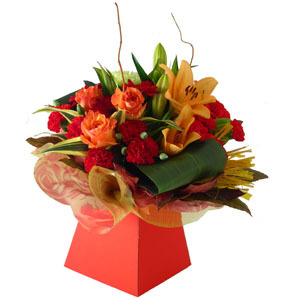 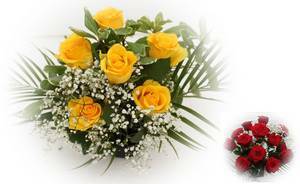 Flowers as seen - Red Roses - Gypsophila - Palms.